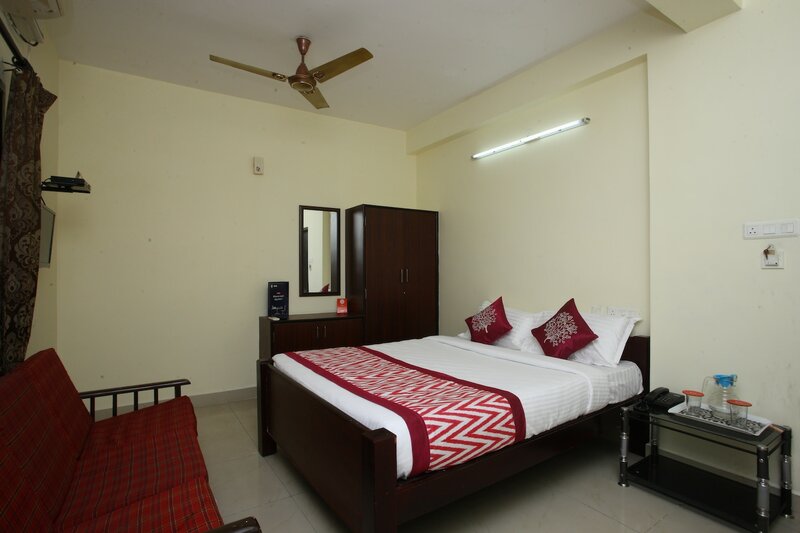 The PJP Park Koyanbedu is quite popular among a number of travelers visiting Chennai for their amazing rooms and the helpful nature of the staff. The walls of the room maintain a neutral tone and the only bursts of color are provided in the form of colored curtains and patterned bedsheets. The rooms are well-furnished and the most notable addition is the couch in the room. The hotel also provides free Wi-Fi, a constant power backup source, an elevator facility, a parking facility, and CCTV cameras. The reception is adjacent to the front desk and is beautifully decorated with a sofa set and a center table.